Yay! The time has come. HPB Singapore (short for Health Promotion Board – Singapore Government body which taking care of the health related matters and issues) is already announced and opened Season 3 of its healthy and rewarding programme (read here for the previous programme). 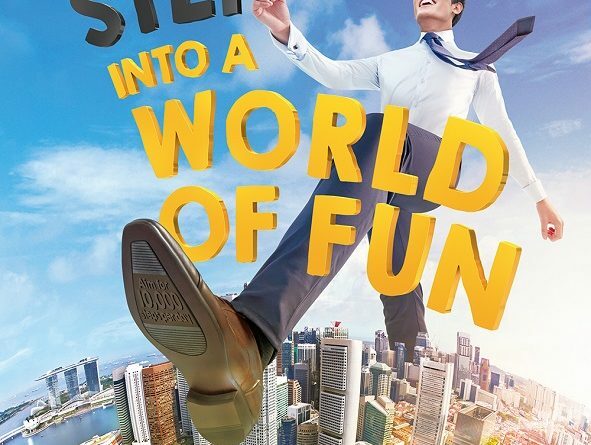 If you are Singapore residents: be it Singapore citizens, Singapore Permanent Residents, or Foreigners who hold valid Singapore passes (Work permit, SPass, Employment Pass, Dependent Pass, Long Term Visit Pass), do consider to join the programme (see below instructions to join the programme in case this is your first time and you haven’t joined the event before). Unlike the 2 previous seasons, this time, the challenge and rewards are a bit different. The Healthy 365 committees realize that nobody is created equal. So instead of everybody is given the same challenges to achieve the same target and get the same rewards, this time each individual joining the programme is asked to make pledge based on their level of comfort. Each of us – the participants – is eligible to choose from the options available. There are 12 choices of pledges you can choose. Here they are. Don’t choose wrongly. And do not follow what other choose. Pledge something you think you can commit and finish. The Healthy 365 programme period is from 28th October 2017 till 30th April 2018. To sweeten the programme, all National Steps Challenge Season 2 finishers are eligible to redeem Completer’s Kit. Unfortunately I can’t find how to check if you are eligible to get one, however, if you completed fully the National Steps Challenge Season 2, then you should by right eligible for the Completer’s Kit. More info related to Completer’s Kit here. For those who are joining Season 2 programme and unable to finish all the challenges – like me – unfortunately you can’t join the Season 3 yet – you can’t choose Season 3 challenges and rewards but instead you can continue the progress of your unfinished Season 2 challenge. For those who can catch up, I believe after completing Season 2 challenge, you can continue doing Season 3 challenges. Below is picture taken on my Healthy 365 app showing unfinished Season 2 National Steps Challenge that is continued on Season 3. For those like me, who didn’t finish Season 2 Challenge and has to continue Season 2 Challenge on Season 3, the Season 2 challenge is all about collecting points to get rewards. Here are the steps required to get the point rewards. And these are the rewards you can get continuing your Season 2 Challenge. More details, you can find on my Healthy 365 Season 2 post here. Can you skip unfinished Season 2 Challenge and go for Season 3 Challenges instead? Unfortunately, no that I know of. You can’t skip unfinished Season 2 Challenge. So currently there’s only one way to get into Season 3 Challenges: is to finish your unfinished Season 2 Challenge. 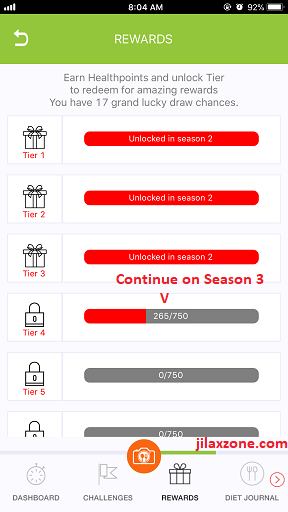 Oh, if you can finish whatever unfinished tiers on your Season 2 Challenge before 16th December 2017, (I think) you are eligible to get the Completer’s Kit. What else are you waiting for? Update the app (if needed), open the app and sign up for Season 3 today. Don’t wait to get healthier while at the same time getting the rewards. Yay! I never register before. What to do to join the National Steps Challenge – Healthy 365 programme? If this is your first time, don’t worry. Here are things you need to start joining the programme and get the rewards. 1. Download and install the Healthy 365 app. Make sure you are using Singapore account – in case the app not appearing when you click below link or unable to search for it. If you do search for yourself, make sure you select the correct app and not any wrong or malware app. The right Healthy 365 app icon is like this (below picture) and is made by Health Promotion Board. In case you worry or lazy, just tap on the download link or scan the Qr Code below. 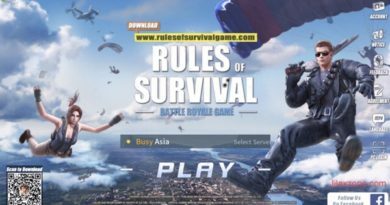 Do install and open the app. Agree to the app terms and conditions. When prompted for access to device’s location, you can choose either allow or deny. 2. 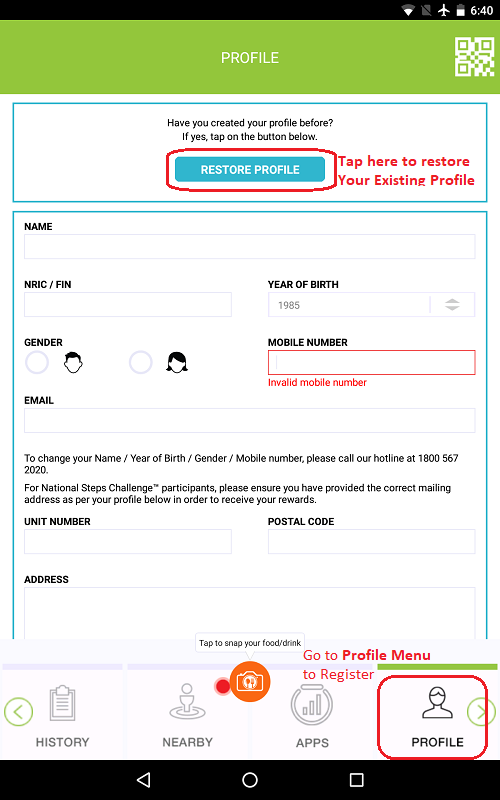 Register yourself to National Steps Challenge via the app. 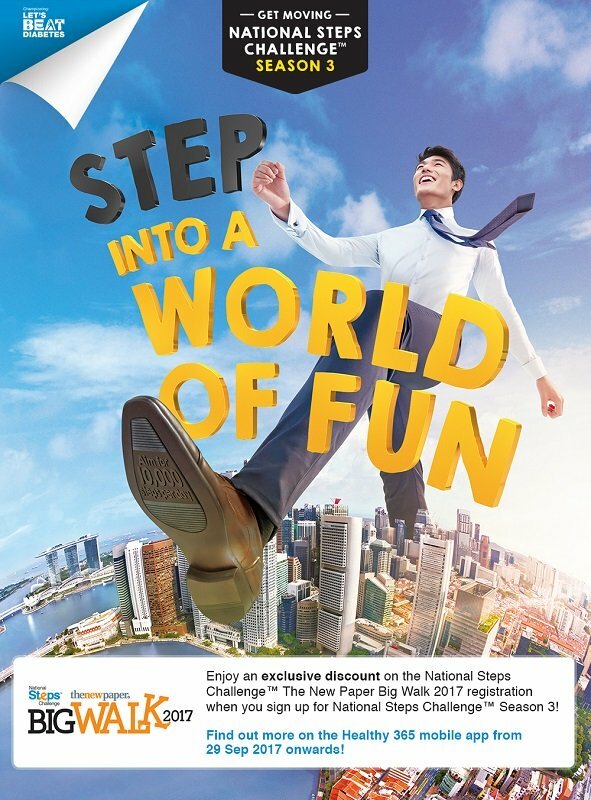 Since the 2nd season, Singapore government has already opened the National Steps Challenge programme for all Singapore residents (Citizens, Permanent Residents and Work/Employment Pass holder). On the app, go to Profile menu. If this is really your first time, do fill in all the necessary details and click on “Save”. If you created a Profile before, you can restore your profile by tapping “Restore Profile”. Free for Singapore citizens and Permanent Residents. For the rest (who hold Singapore work passes/long term passes/dependent passes), you can either buy at HPB or use any existing of your step tracker that is compatible to Healthy 365 app. 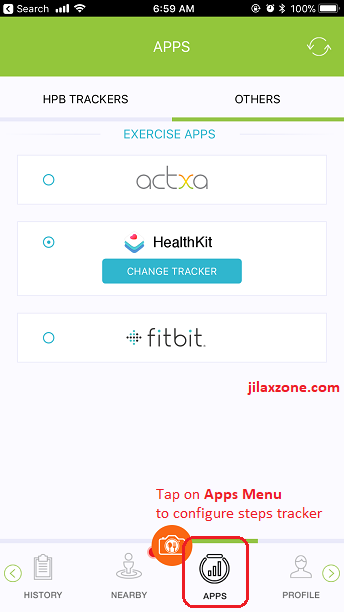 They may add more step trackers in the future, do check inside the Healthy 365 app, Apps Menu for the most updated list. If you are on budget and currently doesn’t have/use any step tracker with you, don’t worry. You can still use your phone as your steps tracker – since most modern phones are equipped with accelerometer which can be used to track your steps – not as accurate as the real steps tracker but it does the job. 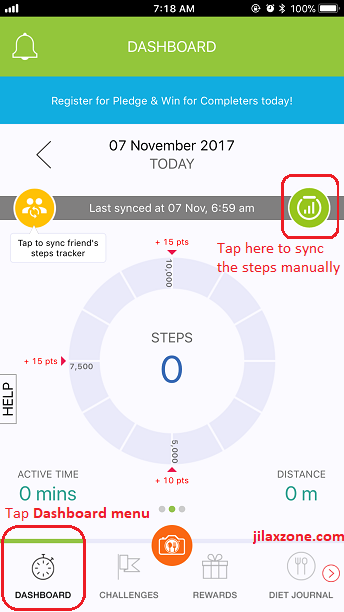 Once you get your hands on the steps tracker, next is to configure the steps tracker, sync it with Healthy 365 app. On the Healthy 365 app, go to App menu. If you can’t find it, scroll the bottom menu by tapping the right arrow sign. Choose one of the options – depends on your steps tracker. Whenever prompted, agree to the terms and conditions or tap ok/confirm. For me, since my primary device is iPhone and currently I’m using Apple Watch, thus I select HealthKit, since Apple Watch is compatible with HealthKit. 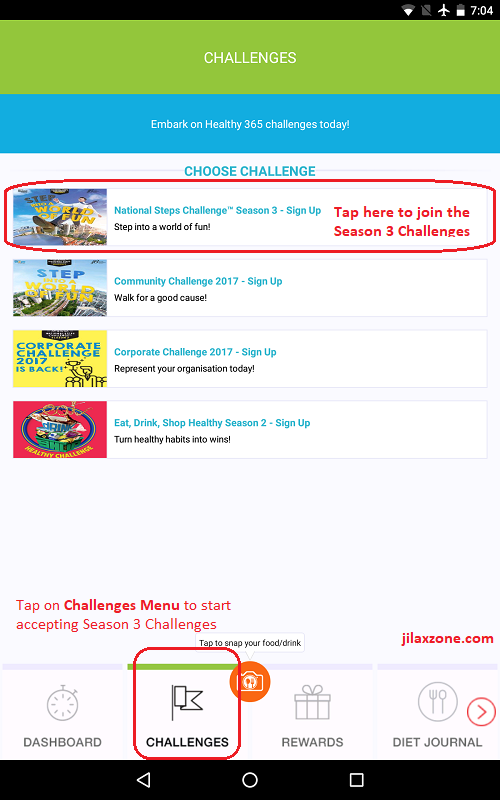 Go to Challenges Menu, find National Steps Challenge Season 3 – Sign up. Tap on it and choose I consent to start the challenges. 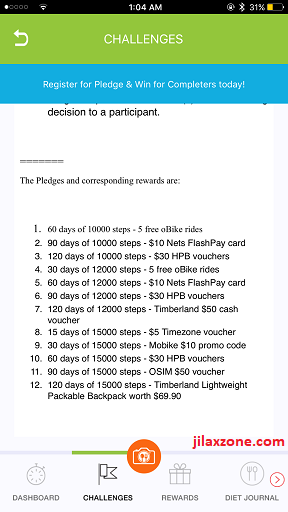 Pick the correct pledge and reward. Choose what you think you can do and try to commit it. Fulfill what you have pledged for. Walk that pledged n-steps a day. Just do your normal activities such as going to work, wash that dishes, do the chores. If doing your normal activities don’t get you your pledged steps, do extra exercises or switch to alternatives, such as take staircases for going up or down instead of taking escalator or lift or other way is if your home is just walking distance, do consider to walk back home and skip the bus. Before going to sleep, at the end of the day good if you can open the Healthy 365 app and sync it daily. In case if you are lazy to sync it each and every day or forgot to sync it in one of those days, you can sync it once a week but try to be not more than a week. Certain steps tracker can only remember the past 7 days activities. By right, just opening the app will sync your steps automatically from the steps tracker. However in case you are not seeing your progress getting synced, here’s to sync the steps to Healthy 365 app manually. a. Open the Healthy 365 app. b. Go to Dashboard Menu. c. If you see ‘X’ number of kcal burnt, ‘X’ number of kcal consumed, slide the screen from right to left until you see the screen like shown above (see image above), showing ‘N’ number of steps with a big circle around it. d. Tap on the green colored icon (steps tracker icon) located on the top right of the screen (see image above) to start sync it manually. e. Wait until it sync successfully. Voila! Now you managed to sync your steps manually. You only need to do this in case the app is not automatically sync the steps for you. Haha I saw the video and it’s hilarious. HPB should consider using him as alternative way to promote the programme. Hi, I’m using Apple Watch. But why is it my healthy365 sync my phone steps instead of my Apple Watch one? Need to do any configuration? Yes, you can configure it on the Healthy 365 app itself. Open the Healthy 365 app, on the bottom menu, navigate to APPS tab. Once you are in APPS tab, on the upper menu, select OTHERS. Find HEALTHKIT, and tap on CHANGE TRACKER. Choose Yes. 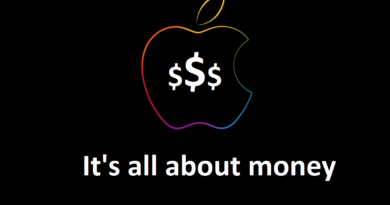 Then choose your Apple Watch. Hi, I had been achieving 10, 000 steps for most days since I got this the tracker b4 season 3 starts. I cannot see my Oct and most of my Nov records now in the app. But I had reached tier 4 onwards. The problem is I cannot choose my 120 days of 10,000 steps challenge. I dont see this option on the app. Also, I cannot redeem the rewards for the 3000 healthpoints I had obtained. I press on the redeem rewards or the step 3 challenge but nothing happen. What’s wrong with the HPB 365 app?? Please enlighten me on how to resolve this. First of all, did you sync regularly? Because to my knowledge and experienced it myself, the app can only sync within the last 1 week only. If you miss the 1-week window, then chances are your steps won’t get synced. FYI, I am using Apple Watch as my tracker and each day everyday, the steps I did is recorded to Apple Health so all the records are there for the entire year. However on last December because I was on vacation, I forgot to sync my steps to the HPB 365 app, then what happen is that, Healthy 365 app only sync the last 1 week activities. So please sync regularly. As for the options, same happening to me. Whatever I have listed on my article, today they may no longer exists. With the assumption it’s not a bug on the Healthy 365 app, then most likely there’s limit on each and every option. The moment certain quota is reached, the option won’t be available anymore – I guess. Don’t forget to always update the app the latest and don’t forget to sync regularly (max 1 week range). Hope it helps. Do you sync it regularly? Because the app will only sync the last 7 day before. Which steps tracker are you using? When you say points, are you referring to steps? Do you see your steps sync to the app? 4. See if your family members or friends are having the same issue as you. 5. Last resort is to call their contact center number and ask them if there’s some glitch happening for some of the users. Hope you can get it resolved soon! I’ve completed the Completer’s Challenge and received a sms to collect the $10 flash pay card. Is this the correct address and is there a unit number as 77C is just the building number. Yes, that’s the correct address. 77c Duxton Road is a shophouse, thus they don’t have unit number. Hi! Do you know the operating hours? HPB operating hours: Mon – Fri, 11am to 8pm and Sat, 9am to 1pm. Looks like my healthy 365 watch is running out of battery…life. Where do I get a new battery or how? I think all healthy 365 watches’ battery are all built-in. You can refer to the box to look for the address for warranty replacement. Hi Constance, I am unable to open up the Healthy 365. Wordings appear says Unfortunately, Healthy 365 has stopped. I call up HPB Healty 365 hotline at 18005672020 on 18.7.18 to inform them about this problem and they could not help me and ask me to wait for 5 days for them to checked. Unable to open up the Healthy 365 about a week already. I try to uninstalled and installed back the Healthy 365 again but it does not help, still cannot open up. Jonathan here. Which phone are you using? If your sister able to open Healthy 365, try to login form her phone and see if your account keeps crashing even when logged in via her phone. If yes, then means something wrong with your account. The best is to wait them for 5 days to return to you – who knows by then your account is fixed. If no – means your account is ok when opened using someone else’s phone, means there’s something wrong with your phone. Try to clean up and re-open the app. Hi Constance is there a address I can bring my Healthy 365 watch down to check why the Healthy 365 has stopped. My sister has a Healthy 365 watch too and and is working OK.
That’s the HPB Building. However I do not know if it’s the right place to go to get help. My suggestion is again to call them and ask them any address you can come and visit to resolve your issue.